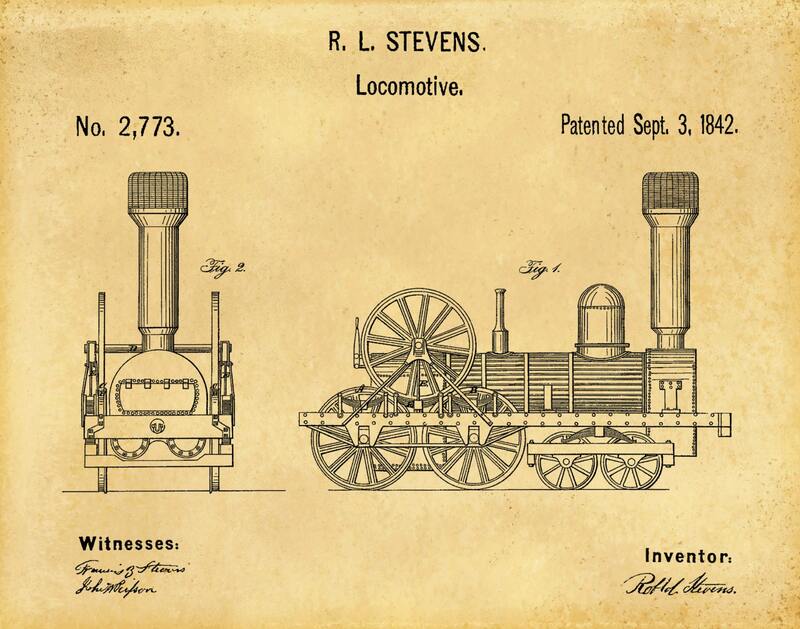 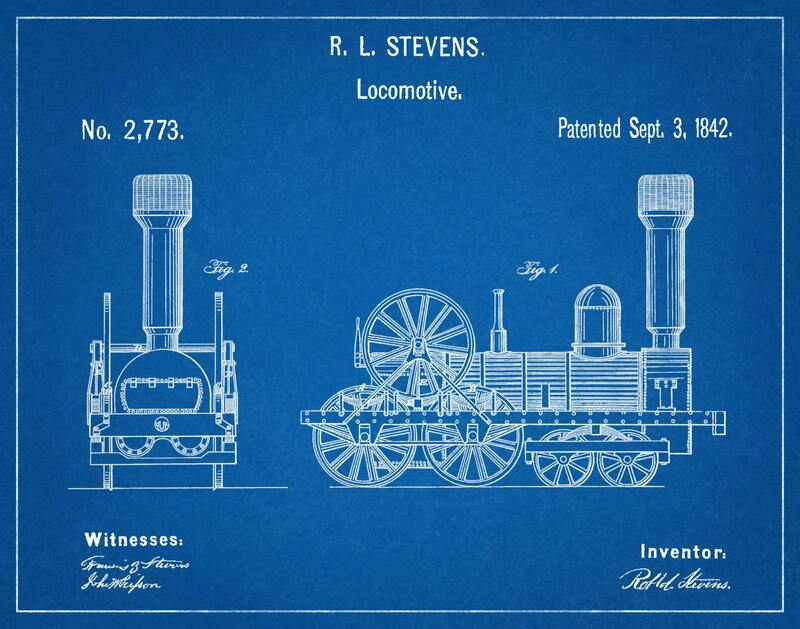 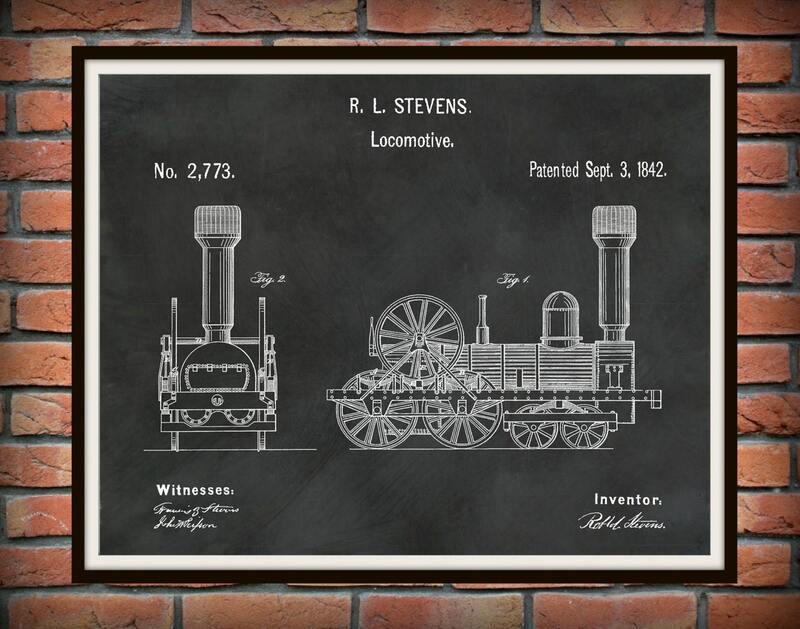 1842 Locomotive Steam Engine Patent designed by Robert Stevens. 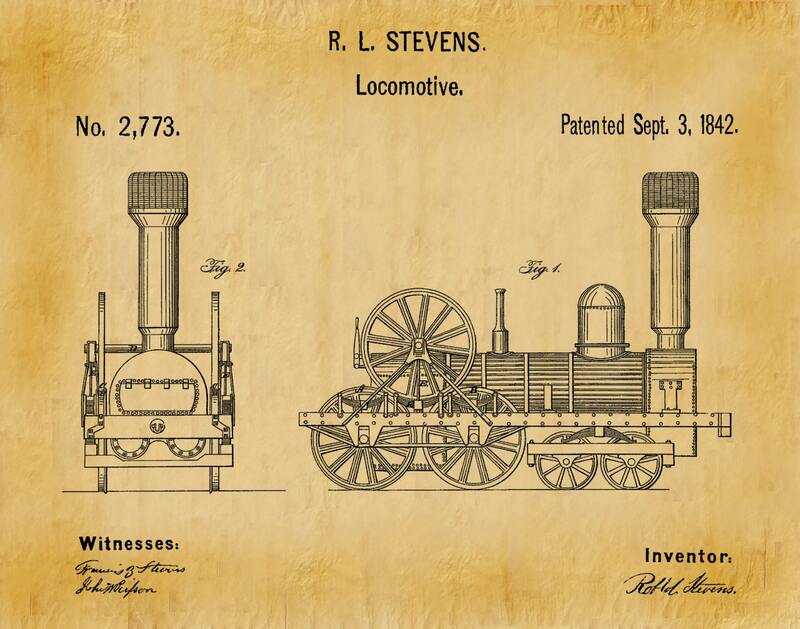 The patent was issued September 3, 1842. The patent design was for a new method of connecting the driving wheels of the locomotive.